The Bank of New York Mellon Corporation (BNY Mellon) is an American multinational banking and financial services corporation with $1.6 trillion in assets under management and $27.9 trillion in assets under custody and/or administration thereby being the largest deposit bank in the world. 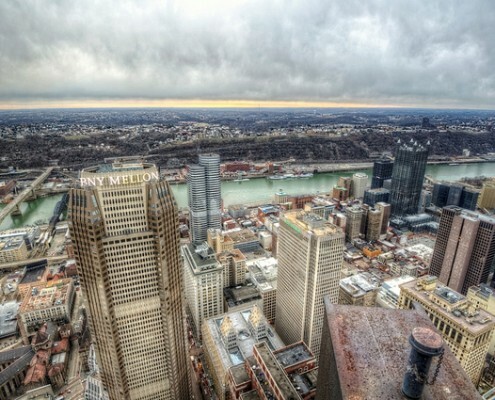 The Hatzel & Buehler Pittsburgh office maintains an ongoing relationship with Bank of New York Mellon, performing electrical construction, structured cabling and daily maintenance throughout the 54-story One Mellon Bank Center, located in downtown Pittsburgh. In addition to the Pittsburgh Market, Hatzel & Buehler has a well-established relationship with Bank of New York Mellon, performing on-site maintenance work as well as project work throughout several east coast cities.